Air Transat Club Class...cost to upgrade? Is it that much of a secret to NOT be able to find out the price for the upgrade to Club Class ?? I’ve searched the pages of AT website & searched Google, but can’t find an “updated cost”. I do know the price for Options Plus ($79pp)…but just in case, we’d like to know. Review the amenities of Air Transat Club Class, including greater baggage allowance, rapid check-in, personalized service, and much more. $200 per person the last and only time I used it. We went Club Class last year to PC and it was $90 per person each way. They don’t show prices because the price changes from destination. Toronto would be cheaper than Vancouver, so hope this helps. And thanks Wud…although the Air Transat link was the same as what I had read & No mention of prices. From Toronto to PUJ it is $120 each way…and there still are 21 seats in Club Class, flew with them in April and sat in Club…I think it is worth every penny it cost!!! Wow, that’s a big price jump. We went in Nov and was $180 return. Guess everything has to go up in price. that is weird, I just looked at AT fleet they use the A330-200 A330-300 and the A310-300 and all have 21 seats in Club…I can’t see them taking seats out. 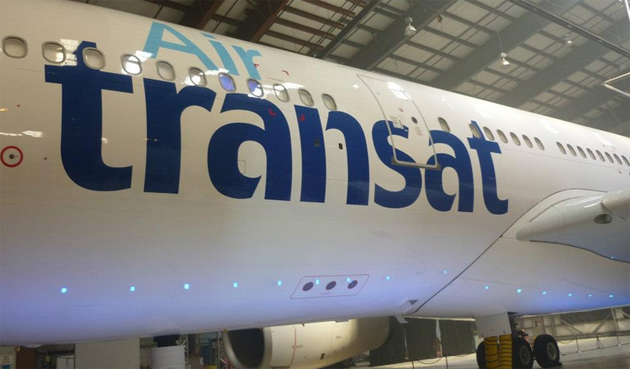 Air Transat welcomed travel VIPs to view newly redesigned A330 planes. tripcentral.ca was there to see the new spacious, innovative cabins. ya i don’t like the fact that there are less seats on the new design, it’s hard to get a seat some times… it’s 200 p.p. for us from wpg, a bit pricey but it’s always nice when we can afford it to do it! I have been traveling to Cuba for the last couple of years and it’s always been Transat Club Class A310-300 from Halifax with only 20 seats in club class. I have booked already for April 2013 and again in Club and no signs that it is the new or revamped plane. We booked 10 people up there and it was confirmed. How do you know if you have a new or revamped plane when booking? With only 12 seat up there it will be even better. We each paid $200 return and the same in April of 2012. I do know that one year in PC it was only $180 return. This is out of Halifax. leggs…We just booked our January 2013 trip to Punta Cana today. Upgrade to Club was $240/person return AND we had our Travel Agent ask the Seat Selection Rep at Transat. Our outbound flight to PUJ is the old configuration with 21 seats, our return flight to Toronto is the new configuration of 12 seats —and we got the LAST 2 CC seats for the return flight !! But if you are doing the booking yourself on-line, when you are asked to select your seats (economy at least), a seat plan of the cabin will show up…slide the bar across the bottom & you can see the configuration. Club Class is booked thru a Rep.
By the way…With our Travel Agent talking to an AT Rep, the revamped Club Class seats will have a seat pitch of 36 inches…an increase from 34 inches. But Economy class seats don’t change at all in their seat pitch…they remain at 32 inches. You’d think by taking out 9 seats, it would improve a bit for Econo ! mra…I did my booking with my agent but I have also looked on their site(transat) so I know about the slide bar that takes you into club class and I can see the our parties seat are all reserved. Both flights coming and going are with the old configuration on the A310 with 20 seats up there. I guess this could change before we leave. I do hope that if we do get the new and improved our confirmation remains. With less seats up there I would hate to get bumped. It only shows our parties seat taken so far. Things like that can happen but we know for now that ours was the first confirmation. For sure ! That is what my husband has to contend with too…long legs !! Hope all goes well for your flight. Update to our trip and Club Class, was the old club now the “new” club with 12 seats. Had everyone placed where they wanted then they switched things up, had to call to get it right. Our group, well at least 8 of the 12 are in club the rest in economy. Club is full now. Going to be interesting to see what the space is like now. Looking for reviews on it but nothing to date. Still $200 return.